RJO Vantage is a free trading platform for futures and options trading offered to clients of ATLAVRA. 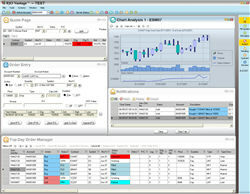 RJO Vantage is downloaded and installed on a trader's computer. Targeted to the individual and high velocity traders, RJO Vantage includes streaming quotes, Depth of Market, click based trading, and real time account information. RJO Vantage allows you to establish your own personalized layout. You may add/remove window content, resize and/or move windows or even 'float' windows across multiple monitors. Finally, to maximize utilization, you may incorporate a Virtual Desktops into your layout. RJO Vantage’s windows can be resized and arranged in many ways. A user can create a layout which will save grid information (columns to display and sizing), window size and positioning, and account/quantity information. Windows can also be ‘floated’ outside of the application window itself, allowing for many different possibilities in a multiple monitor configuration. 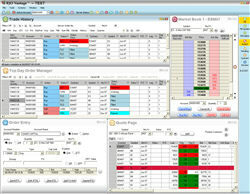 A user can create many different layouts to assist them in different types of trading activity. The RJO Vantage Quote Page window provides users with a mechanism for viewing many contracts simultaneously with trading capabilities just a few clicks away. 300 contracts can be spread across ten tabs, which can be renamed and reorganized. The grid's display style & information layout can be altered as well. The RJO Vantage Option Strike Matrix window is a view designed to show a user all strike/call/put permutations for a given contract with trading capabilities just a few clicks away. 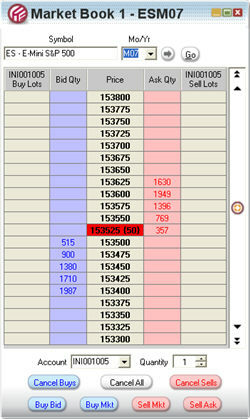 The grid contains open/close, bid/ask, volume, and open interest information for each strike. The screen is divided by the Strike Price column with all call information to the left and all put information to the right. The RJO Vantage Market Book window is used to view the current activity for a selected contract at various prices. From this screen, a user can quickly place orders in a variety of ways and see order quantities for a particular order and a larger set of relevant accounts simultaneously. 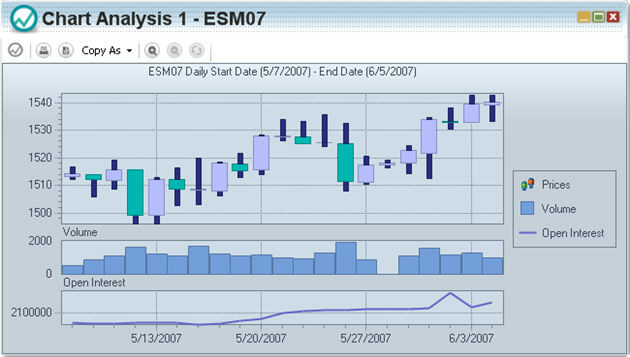 The RJO Vantage Chart Analysis window is a tool to view historical information about a futures contract and to apply statistical algorithms against its data. As always, trading is just a few clicks away. The RJO Vantage Order Entry window is the most direct way for a user to enter an order in RJO Vantage. It gives the user access to all parameters associated with orders and also supports setting up multiple orders for simultaneous submission. 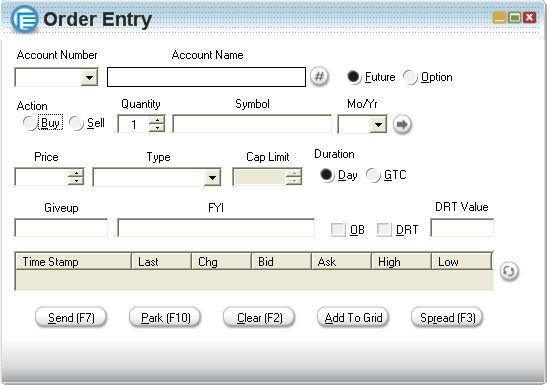 A version of this screen is also available for Spread Order Entry. The Top Day Order Manager window provides a user with a real-time, scrolling view of all activity for the accounts they are concerned with. The grid contains account, contract, status, and diagnostic information about the order. All columns on the grid can be relocated, removed, and resized. Filtering and sorting are also available for all data columns. 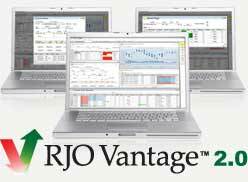 The RJO Vantage Trade History window provides a user with a query-based view of activity they have access to. The screen has pre-defined canned queries designed to bring back often-used views of data (all transactions, fills, working orders, etc.). In addition, the screen has fields to allow users to perform ad-hoc filtering by several values. Finally, a user can also create their own custom queries containing 1 or many qualifying data conditions. The grid contains account, contract, status, and diagnostic information about the order. All columns on the grid can be relocated, removed, and resized. Filtering and sorting are also available for all data columns.